Incidents of serious assault have risen by 52% in the north east since April 2016 compared to the same time period last year. The number of assaults where the victim has sustained a range of injuries including a fracture, loss of consciousness, a chipped tooth, a laceration requiring treatment which may lead to permanent scarring or something more serious from 63 to 96. Overall violent crime in the area has risen by 10% in the same time frame. Chief Inspector Murray Main, who leads the prevention strategy for violence, said: "There has been an increase in violence across the North East and we are taking action to address this. "The situation across the North East is not unique and a sizeable part of the rise can be attributed to fairly recent changes in the national recording standards." Police Scotland recently launched Operation PINE, a targeted initiative to tackle violent crimes in the region with detection rates for this type of crime now standing at around 90%. C.I Murray said: "In relative terms we continue to be amongst the safest places to live, work and visit, but any rise in this type of crime is going to be a concern to us and the communities we serve. "There remains a small minority of individuals who, for whatever reason, are unable to behave or are intent on causing trouble. "Their actions can have the most profound impact not only on victims, but witnesses and families." In Aberdeenshire North there has been 12 serious assaults, while in Aberdeenshire South, there has been 17. 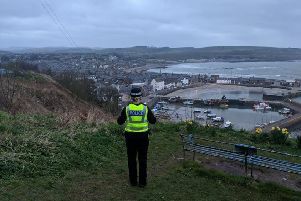 The highest number of serious assaults in the north east was recorded in May which Police Scotland say is mainly owing to two Bank Holiday weekends. The majority of victims and known perpetrators of serious assaults are male, 81%. The average age of victims is 29 years while for perpetrators, it is 27 years. Chief Inspector Main said: "It's no secret that excessive alcohol consumption is the biggest contributor to violence-related crime and it will also come as no surprise to hear that the majority of offences happen late on a Saturday or early in a Sunday."